At Mercedes-Benz of Fairfield, we offer a vast selection of Mercedes-Benz demo cars for sale around Napa, Vallejo, and Vacaville.But what is a demo car your might ask? A demo vehicle is a Mercedes-Benz model we’ve used strictly for test-driving purposes: they’re lightly used but sold at a discount price. For like-new quality at used car prices, check out our selection of executive demo car specials, and then reach out to our staff to set-up some test-drives. CARFAX One-Owner. Arctic White 2017 Mercedes-Benz Metris Alternator 14 V/190 A, Buffer Battery For Start/Stop, Cruise Control, ECO Start/Stop, ECO Stop/Start Package, Heated & Electrically Adjustable Exterior Mirrors. Recent Arrival! Reviews: * Balance of comfort and performance makes it an appealing daily driver; solid fuel efficiency from the standard four-cylinder engine; plenty of room for adult-sized passengers in back; elegant design inside and out gives it a true luxury appearance. Source: Edmunds * Elegant interior and exterior design; excellent balance between agile handling and a comfortable ride; abundant safety equipment that is better executed than most; fuel-efficient turbocharged engine. Source: Edmunds * Balance of comfort and performance makes it an appealing daily driver; solid fuel efficiency from the standard four-cylinder engine; plenty of room for adult-sized passengers in back; a long list of advanced safety features are available; elegant design inside and out gives it a true luxury appearance. Source: EdmundsCARFAX One-Owner. Arctic White 2017 Mercedes-Benz Metris Alternator 14 V/190 A, Buffer Battery For Start/Stop, Cruise Control, ECO Start/Stop, ECO Stop/Start Package, Heated & Electrically Adjustable Exterior Mirrors. Clean CARFAX. Certified. Lunar Blue Metallic 2018 Mercedes-Benz GLA 18" 5-Spoke Aluminum Wheels, Convenience Package, Premium Package 1, Smartphone Integration. Recent Arrival! 23/31 City/Highway MPG Mercedes-Benz Certified Pre-Owned Details: * Warranty Deductible: $0 * Roadside Assistance * Includes Trip Interruption Reimbursement and 7 days/500 miles Exchange Privilege * Transferable Warranty * Vehicle History * 165 Point Inspection * Limited Warranty: 12 Month/Unlimited Mile beginning after new car warranty expires or from certified purchase date Awards: * JD Power Initial Quality Study (IQS)Clean CARFAX. Certified. Lunar Blue Metallic 2018 Mercedes-Benz GLA 18" 5-Spoke Aluminum Wheels, Convenience Package, Premium Package 1, Smartphone Integration. Clean CARFAX. Certified. Polar White 2019 Mercedes-Benz GLA 18" 5-Spoke Aluminum Wheels. Recent Arrival! 23/31 City/Highway MPG Mercedes-Benz Certified Pre-Owned Details: * Includes Trip Interruption Reimbursement and 7 days/500 miles Exchange Privilege * Vehicle History * Transferable Warranty * 165 Point Inspection * Warranty Deductible: $0 * Roadside Assistance * Limited Warranty: 12 Month/Unlimited Mile beginning after new car warranty expires or from certified purchase dateClean CARFAX. Certified. Polar White 2019 Mercedes-Benz GLA 18" 5-Spoke Aluminum Wheels. Clean CARFAX. Certified. Night Black 2019 Mercedes-Benz GLA 18" Twin 5-Spoke Alloy Wheels, Android Auto, Apple CarPlay, Convenience Package, Premium Package 1, Smartphone Integration, Smartphone Integration, Smartphone Integration (14U). Recent Arrival! 24/33 City/Highway MPG Mercedes-Benz Certified Pre-Owned Details: * Vehicle History * 165 Point Inspection * Limited Warranty: 12 Month/Unlimited Mile beginning after new car warranty expires or from certified purchase date * Includes Trip Interruption Reimbursement and 7 days/500 miles Exchange Privilege * Transferable Warranty * Warranty Deductible: $0 * Roadside AssistanceClean CARFAX. Certified. Night Black 2019 Mercedes-Benz GLA 18" Twin 5-Spoke Alloy Wheels, Android Auto, Apple CarPlay, Convenience Package, Premium Package 1, Smartphone Integration, Smartphone Integration, Smartphone Integration (14U). Clean CARFAX. Certified. Iridium Silver 2019 Mercedes-Benz GLA 18" Twin 5-Spoke Alloy Wheels, Premium Package 1, Smartphone Integration. Recent Arrival! 24/33 City/Highway MPG Mercedes-Benz Certified Pre-Owned Details: * Transferable Warranty * Limited Warranty: 12 Month/Unlimited Mile beginning after new car warranty expires or from certified purchase date * Includes Trip Interruption Reimbursement and 7 days/500 miles Exchange Privilege * Vehicle History * Warranty Deductible: $0 * 165 Point Inspection * Roadside AssistanceClean CARFAX. Certified. Iridium Silver 2019 Mercedes-Benz GLA 18" Twin 5-Spoke Alloy Wheels, Premium Package 1, Smartphone Integration. Clean CARFAX. Certified. Iridium Silver Metallic 2019 Mercedes-Benz GLA 18" Twin 5-Spoke Alloy Wheels, Android Auto, Apple CarPlay, Premium Package 1, Smartphone Integration. Recent Arrival! 23/31 City/Highway MPG Mercedes-Benz Certified Pre-Owned Details: * Vehicle History * Warranty Deductible: $0 * 165 Point Inspection * Includes Trip Interruption Reimbursement and 7 days/500 miles Exchange Privilege * Limited Warranty: 12 Month/Unlimited Mile beginning after new car warranty expires or from certified purchase date * Transferable Warranty * Roadside AssistanceClean CARFAX. Certified. Iridium Silver Metallic 2019 Mercedes-Benz GLA 18" Twin 5-Spoke Alloy Wheels, Android Auto, Apple CarPlay, Premium Package 1, Smartphone Integration. Clean CARFAX. Certified. Mountain Gray Metallic 2019 Mercedes-Benz GLA 18" Twin 5-Spoke Alloy Wheels, Convenience Package, Premium Package 1, Smartphone Integration. Recent Arrival! 23/31 City/Highway MPG Mercedes-Benz Certified Pre-Owned Details: * Transferable Warranty * 165 Point Inspection * Warranty Deductible: $0 * Roadside Assistance * Includes Trip Interruption Reimbursement and 7 days/500 miles Exchange Privilege * Limited Warranty: 12 Month/Unlimited Mile beginning after new car warranty expires or from certified purchase date * Vehicle HistoryClean CARFAX. Certified. Mountain Gray Metallic 2019 Mercedes-Benz GLA 18" Twin 5-Spoke Alloy Wheels, Convenience Package, Premium Package 1, Smartphone Integration. Clean CARFAX. Certified. Iridium Silver 2019 Mercedes-Benz GLA 18" Twin 5-Spoke Alloy Wheels, Convenience Package, Premium Package 1, Smartphone Integration. Recent Arrival! 23/31 City/Highway MPG Mercedes-Benz Certified Pre-Owned Details: * Vehicle History * 165 Point Inspection * Includes Trip Interruption Reimbursement and 7 days/500 miles Exchange Privilege * Transferable Warranty * Warranty Deductible: $0 * Roadside Assistance * Limited Warranty: 12 Month/Unlimited Mile beginning after new car warranty expires or from certified purchase dateClean CARFAX. Certified. Iridium Silver 2019 Mercedes-Benz GLA 18" Twin 5-Spoke Alloy Wheels, Convenience Package, Premium Package 1, Smartphone Integration. Clean CARFAX. Certified. Iridium Silver Metallic 2018 Mercedes-Benz GLC 18" 5-Spoke Wheels, Heated Front Seats, Premium Package 1, Smartphone Integration. Recent Arrival! 22/28 City/Highway MPG Mercedes-Benz Certified Pre-Owned Details: * Roadside Assistance * Limited Warranty: 12 Month/Unlimited Mile beginning after new car warranty expires or from certified purchase date * Warranty Deductible: $0 * 165 Point Inspection * Includes Trip Interruption Reimbursement and 7 days/500 miles Exchange Privilege * Vehicle History * Transferable WarrantyClean CARFAX. Certified. Iridium Silver Metallic 2018 Mercedes-Benz GLC 18" 5-Spoke Wheels, Heated Front Seats, Premium Package 1, Smartphone Integration. Clean CARFAX. Certified. Black 2018 Mercedes-Benz GLC 18" 5-Spoke Wheels, Heated Front Seats, Premium Package 1, Smartphone Integration. Recent Arrival! 21/28 City/Highway MPG Mercedes-Benz Certified Pre-Owned Details: * Warranty Deductible: $0 * Transferable Warranty * Vehicle History * Roadside Assistance * 165 Point Inspection * Limited Warranty: 12 Month/Unlimited Mile beginning after new car warranty expires or from certified purchase date * Includes Trip Interruption Reimbursement and 7 days/500 miles Exchange PrivilegeClean CARFAX. Certified. Black 2018 Mercedes-Benz GLC 18" 5-Spoke Wheels, Heated Front Seats, Premium Package 1, Smartphone Integration. Clean CARFAX. Certified. Polar White 2019 Mercedes-Benz GLC Blind Spot Assist, Heated Front Seats, Premium Package 1, Smartphone Integration, Wheels: 18" 5-Spoke (R31). Recent Arrival! 22/27 City/Highway MPG Mercedes-Benz Certified Pre-Owned Details: * Includes Trip Interruption Reimbursement and 7 days/500 miles Exchange Privilege * Warranty Deductible: $0 * 165 Point Inspection * Vehicle History * Transferable Warranty * Roadside Assistance * Limited Warranty: 12 Month/Unlimited Mile beginning after new car warranty expires or from certified purchase dateClean CARFAX. Certified. Polar White 2019 Mercedes-Benz GLC Blind Spot Assist, Heated Front Seats, Premium Package 1, Smartphone Integration, Wheels: 18" 5-Spoke (R31). Clean CARFAX. Certified. Polar White 2018 Mercedes-Benz GLC 19" 5-Spoke Wheels, Burmester Surround Sound System, Heated Front Seats, Premium Package 1, Smartphone Integration. Recent Arrival! 21/28 City/Highway MPG Mercedes-Benz Certified Pre-Owned Details: * Transferable Warranty * Roadside Assistance * Limited Warranty: 12 Month/Unlimited Mile beginning after new car warranty expires or from certified purchase date * 165 Point Inspection * Warranty Deductible: $0 * Vehicle History * Includes Trip Interruption Reimbursement and 7 days/500 miles Exchange PrivilegeClean CARFAX. Certified. Polar White 2018 Mercedes-Benz GLC 19" 5-Spoke Wheels, Burmester Surround Sound System, Heated Front Seats, Premium Package 1, Smartphone Integration. Clean CARFAX. Certified. Mojave Silver Metallic 2019 Mercedes-Benz GLC Blind Spot Assist, Heated Front Seats, Premium Package 1, Smartphone Integration, Wheels: 18" 5-Spoke (R31). Recent Arrival! 22/27 City/Highway MPG Mercedes-Benz Certified Pre-Owned Details: * Transferable Warranty * 165 Point Inspection * Roadside Assistance * Limited Warranty: 12 Month/Unlimited Mile beginning after new car warranty expires or from certified purchase date * Warranty Deductible: $0 * Vehicle History * Includes Trip Interruption Reimbursement and 7 days/500 miles Exchange PrivilegeClean CARFAX. Certified. Mojave Silver Metallic 2019 Mercedes-Benz GLC Blind Spot Assist, Heated Front Seats, Premium Package 1, Smartphone Integration, Wheels: 18" 5-Spoke (R31). Clean CARFAX. Certified. Lunar Blue Metallic 2019 Mercedes-Benz GLC Blind Spot Assist, Heated Front Seats, Premium Package 1, Smartphone Integration, Wheels: 18" 5-Spoke (R31). Recent Arrival! 22/27 City/Highway MPG Mercedes-Benz Certified Pre-Owned Details: * Includes Trip Interruption Reimbursement and 7 days/500 miles Exchange Privilege * Warranty Deductible: $0 * Vehicle History * Transferable Warranty * Roadside Assistance * 165 Point Inspection * Limited Warranty: 12 Month/Unlimited Mile beginning after new car warranty expires or from certified purchase dateClean CARFAX. Certified. Lunar Blue Metallic 2019 Mercedes-Benz GLC Blind Spot Assist, Heated Front Seats, Premium Package 1, Smartphone Integration, Wheels: 18" 5-Spoke (R31). 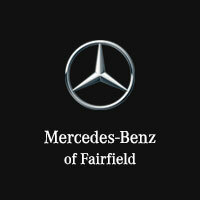 Mercedes-Benz of Fairfield is a leading dealer in the Napa Valley, offering drivers a vast selection of new and used vehicles for sale at prices to compete. With a 3-day money back guarantee, flexible auto financing, and a long list of auto service specials, new car deals, lease deals, and used vehicle specials, we make finding the car you want at a price that’s right for you a cinch. Stop by our dealership in Fairfield, CA at 2950 Auto Mall Pkwy to experience the Mercedes-Benz of Fairfield difference for yourself.